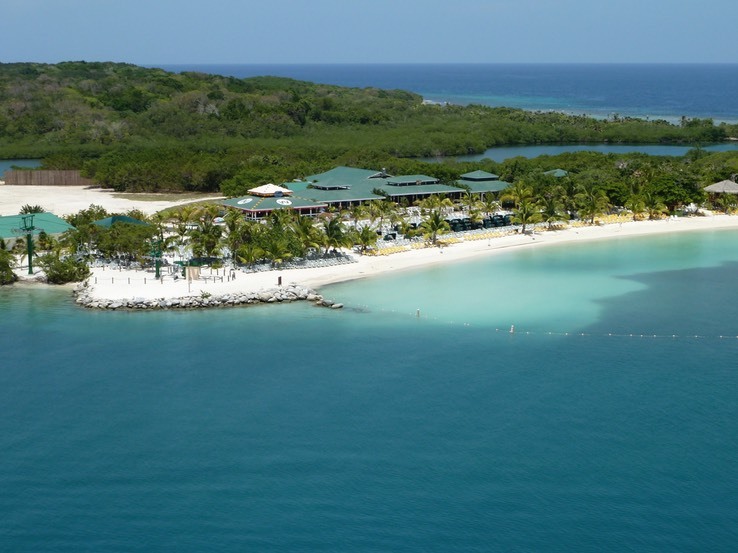 Isla Roatan is located in the Bay of Islands off the coast of Honduras. It is a beautiful tropical island with palm tree forests, white sand beaches and beautiful blue water. 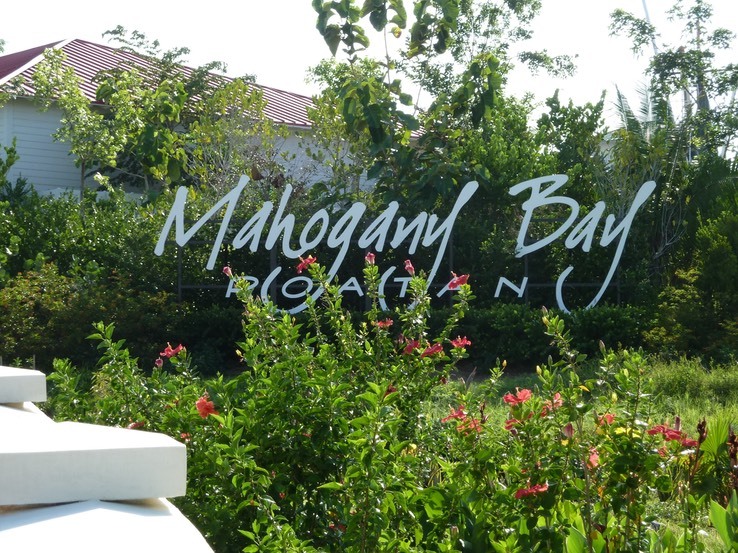 There are a couple of cruise ship ports on the island; we docked at Mahogany Bay. As you leave the dock you find the usual shopping complex. Beyond that we found the vans that would take us on our excursion. The excursion we chose was called Pirates, Birds and Monkeys, and it took us to Gumbalimba Park, which is a tourist attraction that includes a botanical garden, a very small interactive zoo with parrots, macaws and monkeys, an insectarium and beach activities. The park is named after the Gumbalimba tree, which is known on the island for its medicinal properties. It is apparently good for treating infections, kidney and liver ailments, and back problems. The bark of the tree is a distinctive shade of red that makes the tree easily identifiable. Our guide, Teddy, took us around the park and made sure we had all the proper instructions for survival … Well, actually, instructions to bring us through to the end unscathed. We were warned about protecting our eye glasses, cameras and hats from the monkeys. Too bad he didn’t warn us about the birds. When Susan posed for a photo with a Scarlet Macaw, the bird immediately went for (and stole) the button from the top of her cap. We are pretty sure that the button was still in the bird’s mouth in this photo. The Insectarium is a really nice exhibit that showcases butterflies and other insects native to Honduras, along with a few examples of insects from other countries. We got to meet the artist who is painting the murals on all the walls. Following this we were given some of the history of the island. Then came the challenge of the day: we could cross the lake filled with unfed alligators via a rather rickety looking suspension bridge, or we could take the “chicken path”. All of the group elected to take the suspension bridge, even though some of us would have preferred not to. We could have our photo taken with one of the white-faced monkeys if we so desired, but we opted to let others do that. In the mean time we enjoyed watching the Honduran “rabbits” which turned out to be agoutis. There were many iguanas in the park, along with a lot of interesting plants. The park is still fairly new, and parts of it are still under construction. It is nicely done and will be great when they get it finished. Isla Roatan was once a British colony. Honduras traded the land that is now Belize for Roatan. Isla Roatan is a pleasant place to visit. It was many people’s favorite port on this cruise. There are more photos in the album.